Veteran socialists Lalu Prasad Yadav, Nitish Kumar and Mulayam Singh Yadav have once again decided to join hands to form a new political party. 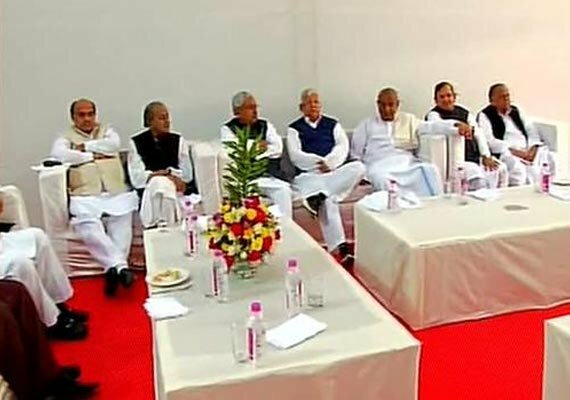 Making the announcement after the meeting of these leaders at Mulayam Singh Yadav’s residence, former Bihar Chief Minister Nitish Kumar said that Mulayam Singh has been authorized to coordinate and take this forward with leaders of different parties likely to join the new party. "We have authorized Mulayam ji to carry out discussions so that all Non-Congress,Non-BJP parties can be merged together to form a single party", said former Bihar Chief Minister. That is a good news. All of them together will go into oblivion. new party will apparently be called "Samajwadi Janata Party" ..
One things for sure.. some fun times ahead in Indian politics. i used to quote "Janata Dal United" as an example of an Oxymoron. Are'nt they missing Didi here. Or will Didi, Behen and Amma form a 'Mahila Front'. Here is a cabal than is doomed before it has even begun. 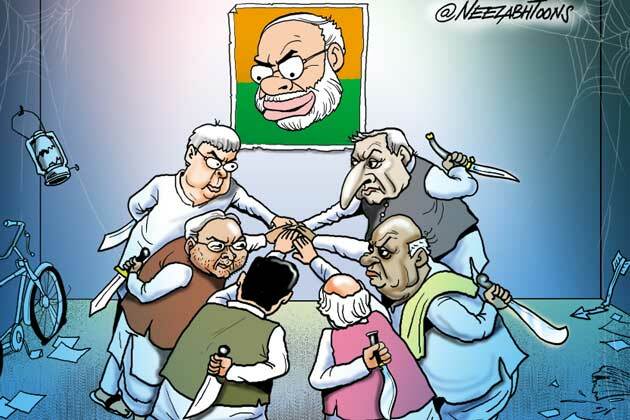 They say that it is the splinters of the old Janta Party looking to re-unite. Didi, Behen and Amma were never a part of that. it is said a picture is worth a thousand words..
Who is the taklu in pink jacket? Can't be Advani? 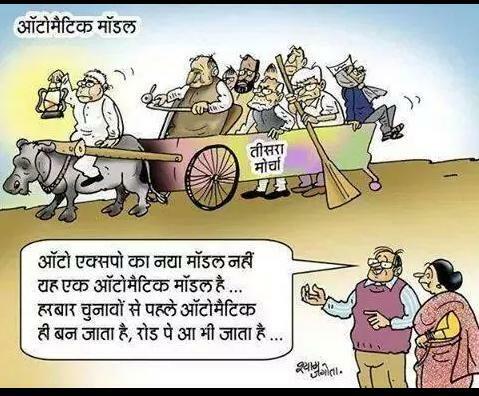 According to analysts, these sickluar netas are fearing a Gujarat-like scenario in LS elections where BJP/Modi might get elected again & again . Hence they are preparing early. In a way it is good. They might sink together. That guy with muffler is Arvind Kejriwal? he is also joining this front? he had a JD(U) guy supporting his govt when he was CM of Delhi for those heavenly 49 days.. so it would only seem natural.